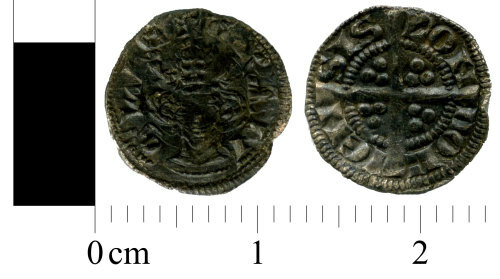 A medieval silver farthing of Edward I. Withers type 10-13. Dating c. 1280-1282. Obverse has been double struck. Obverse description: Crowned bust facing. No inner circle. Bust to edge of flan.